10% Happier – Mindfulness Guide – 10% Happier Inc. Meditation for Fidgety Skeptics by 10% Happier – 10% Happier Inc. Interested in meditation but allergic to pan flutes & syrupy language? This app will give you a quick, simple intro to meditation with a heavy dose of science. Then we'll give you all the tools you need to keep going. Despite its PR problem, mindfulness meditation is a simple, secular, scientifically-validated exercise for your brain. Meditation is no panacea, but it can make you 10% Happier. In his #1 New York Times Bestselling book 10% Happier, ABC News anchor Dan Harris explores how his on-air panic attack in 2004 prompted him to search for a way to defang the voice in his head. He found meditation, and it's helped him be less yanked around by his emotions. Download the app to access the first 7 days for free, then subscribe for $9.99 to access all the course content and continue with coaching. New courses and teachers will be added each month, so stay tuned... -------------- How it works: In this app, you’ll learn how to meditate with skeptical newsman Dan Harris and some of the greatest American meditation teachers, including Joseph Goldstein and Sharon Salzberg. - Daily video lessons that teach the essentials of meditation and mindfulness (without any woo-woo) - Guided audio meditations that walk you through the practice in the simplest possible way - Because self-discipline isn't always enough, you’ll also get a living, breathing coach to help you follow through - Keep track of your meditation progress by integrating with the Apple Health app Start for FREE, and subscribe for $9.99. -------------- Testimonial: "I appreciated Joseph's expertise and Dan's real-life applications. The live coaching is always helpful and I feel necessary. " Raina C. "Excellent content - much more practical, down to earth, accessible than many attempts to teach meditation. It would be the first thing I would recommend to anyone interested." Sherrill G. “As someone who has tried to meditate in the past (with no success) this course was exactly what I needed. The day by day structure helped me establish a routine for the first time in my life. Joseph is a genius and Dan is hilarious. Awesome!” Ethan “It's simple, personal, and multidimensional. I've long thought that most people would benefit from regular meditation practice and look forward to living my opinion and then spreading the word.” Jen M. “It's a wonderful course for those who are either skeptical about meditation or full beginners. It's helpful even for non-beginners like me who have meditated but struggle with consistency and confidence with it.” Elliot D. ------------------------------------------ About 10% Happier, the book: Working his way from local television to the bright lights of network news, Harris had always believed the restless, relentless, impossible-to-satisfy voice in his head was one of his greatest assets. How else can you climb the ladder in a field like TV news without hand-wringing and hyper-vigilance? For a while, his strategy worked. Harris anchored national broadcasts; he covered wars. Then he made a series of poor decisions in his personal life that culminated in a televised panic attack in front of an audience of millions. What happened next was completely unforeseen. Through a bizarre series of events involving a disgraced evangelical pastor, a mysterious self-help guru, and a fateful gift from his wife, Harris discovered something that helped him tame the voice in his head: meditation. A clear, simple approach to meditation with a NY Times bestselling author and some of the most respected (and cool) meditation teachers on the planet. No need to carve out a ton of time or ‘clear your mind’. What happens when a news anchor (Dan Harris of ABC News) has an on-air panic attack? Long story short - he finds meditation. In this app, Dan teams up with teachers like Joseph Goldstein and Sharon Salzberg to help us learn meditation or (if you already meditate) up your game. -------------- Press Mentions: ** #1 Top listed app in New York Times ‘How to Meditate’ guide, September 2016 ** Featured for ‘emergency election stress’ meditations in The Washington Post, October 2016 ** #1 in Apple’s ‘New Apps We Love’, May 2016 ** Launched on ABC’s Good Morning America, September 2015 -------------- Here’s what’s inside: - Learn For Free: Free download and includes a free 7 session course ‘The Basics’ and other free meditations. - Daily Videos: Short conversations designed to get across the key aspects of the practice in the simplest possible way. - Guided Audio Meditations: Our teachers walk you through meditation in the simplest possible way. - Practical Topics: Learn how to apply mindfulness to your relationships, eating, work and more. - New Content Monthly: We dream up new and crazy content to keep meditation from becoming a chore. - Just Meditate: Access meditations that you can fit into your commute or lunch break, even if you only have a few minutes. (Yes, this counts.) - Coaching: As you dive into meditation, questions may arise. Your coach (a real human, not a robot) can help (but won't be annoying). - Mindful Minutes: Keep track of your meditation progress by integrating with the Apple Health app Download the app and learn to meditate for free. If you’d like to get more content you can become a member ($9.99/mo or $79.99/year auto-renewing subscription). 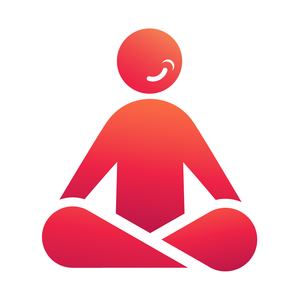 -------------- Testimonial: "This is by far the best of all the meditation apps I've tried. Really engaging. Keeps me interested to come back for more. " chones95 "Just give it a shot and you probably won't regret it. Other apps get a bit too touchy-feely whereas this one is very straightforward and no nonsense." RobertUNH “The coaching element is huge with this app and the message is consistent, clear, and just overall awesome. I recommend it to anyone who wants to enter the world of meditation and those who've been in that world for a long time already.” Adamo8858482992 “Best meditation app I've ever used. I've tried lots, but never stuck with it. Until now. This isn't simply a guided voice or nice background. This app helps you learn HOW to meditate and builds from there. Answers so many questions about meditating I always had. I've been using it two months consistently and my insomnia is gone. If you've ever been curious about practicing meditation, start with this app.” RainaRuns79 ------------------------------------------ About 10% Happier, the book: In his #1 New York Times Bestselling book 10% Happier, ABC News anchor Dan Harris explores how his on-air panic attack in 2004 prompted him to search for a way to defang the voice in his head. He found meditation, and it's helped him be less yanked around by his emotions. ------------------------------------------ About 10% Happier, the podcast: Top #10 podcast in Health. 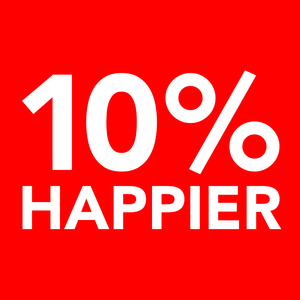 In the 10% Happier podcast, Dan talks with smart people about whether there's anything beyond 10%. Basically, here's what the podcast is obsessed with: Can you be an ambitious person and still strive for enlightenment (whatever that means)?